All children under 15 must be accompanied by a parent or guardian aged 18+. Children must be aged 5+ to participate in Sleep Under the Sea. 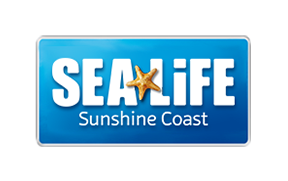 In order for a Sleep Under the Sea to go ahead, SEALIFE Sunshine Coast requires a minimum of 25 people to book in for this event. In the unlikely event that we do not reach minimum numbers, SEALIFE will either re-schedule your sleepover to another date, or offer a full refund of your booking. No cancellations will be accepted within 7 days of the event. This is to ensure that minimum numbers are reached for the event to go ahead and to not cause inconvenience to other guests who are booked in if the event gets cancelled as a result. As bookings for these events are unpredictable, we apologise in advance if your scheduled Sleep Under the Sea does not go ahead. Our reservations team will keep you informed on numbers as we approach your sleepover so that you are kept up to date with what’s happening.